As the summer comes to a close I am spending more time in the studio. 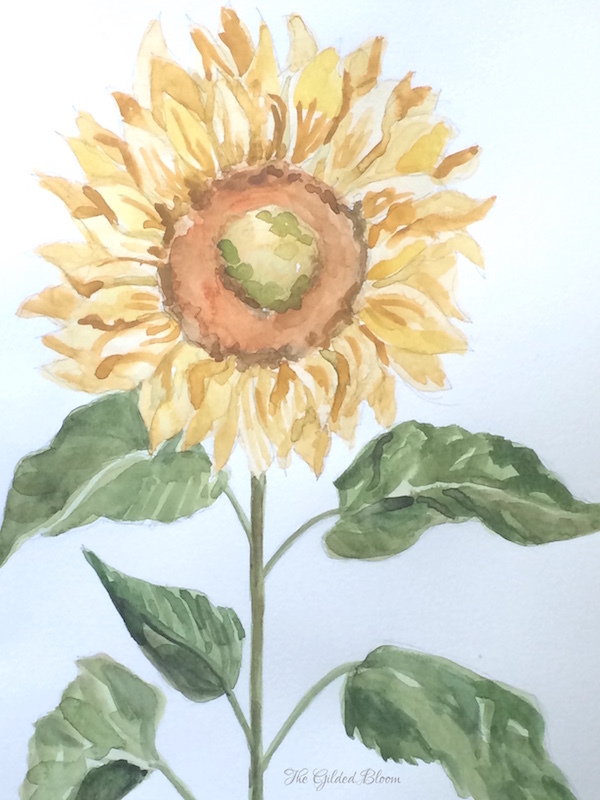 Lately, I've been working with watercolors to create these expressive floral paintings of favorite blooms. 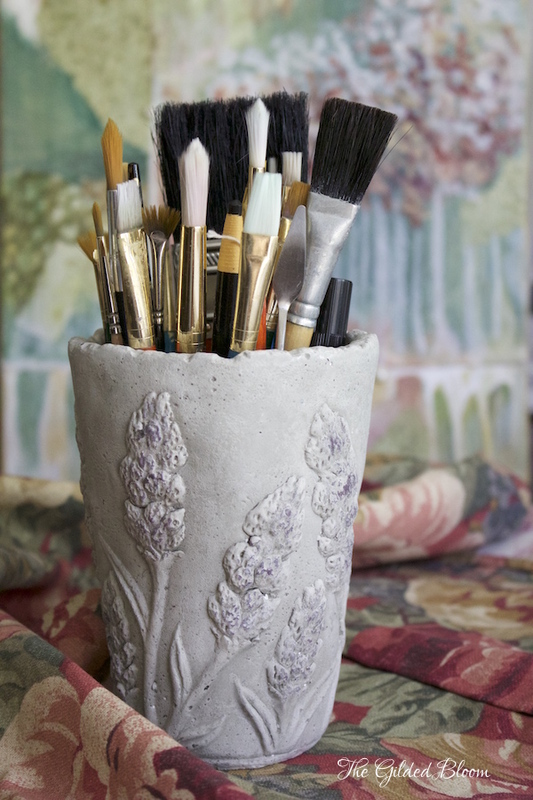 They reflect a sunwashed summer palette of dusty blues, pale golden yellows and faded coral pinks. These are iphone photos that I've posted on my art studio's Instagram feed @gildedbloomstudio. Feel free to follow me there to see more art in process! This sunflower is a soft and muted version of the bright yellow blooms that grace the garden in August and September. The pale gold and yellow ochre petals make a subtle statement. 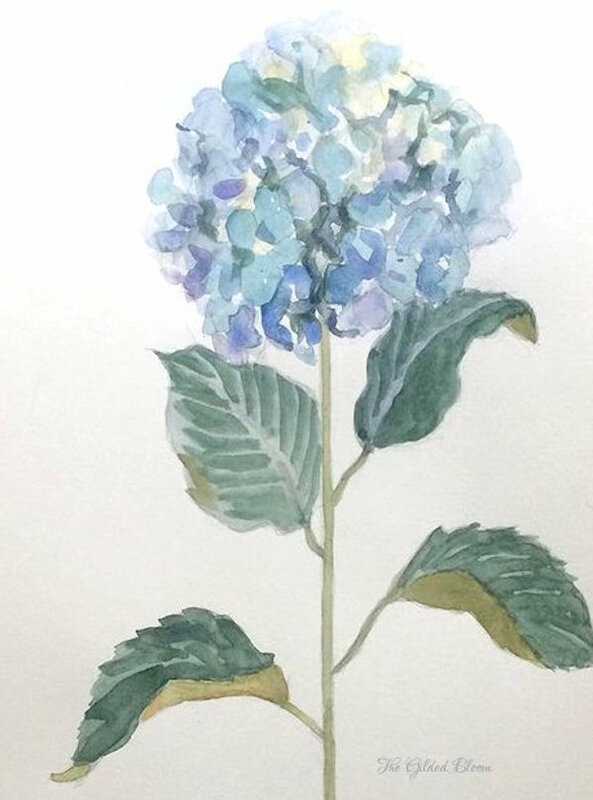 In this painting of a hydrangea dusty teal blues are emphasized for decorative effect. Beautiful !!! thank you for sharing.